Heat a splash of olive oil in a small frying pan over a low heat. Line the bottom of the pan with overlapping slices of potato so the whole base is covered. Sprinkle over your cheese, cover with a lid and cook away for about 5 minutes until the cheese has melted and is starting to bubble. Add the tomato sauce and spread over the potato base. Evenly place the bocconcini balls around the pizza and then crack and egg in the middle. Turn the heat up to medium, cover with a lid and cook for another 5 minutes until the egg is cooked but still wobbly in the middle. 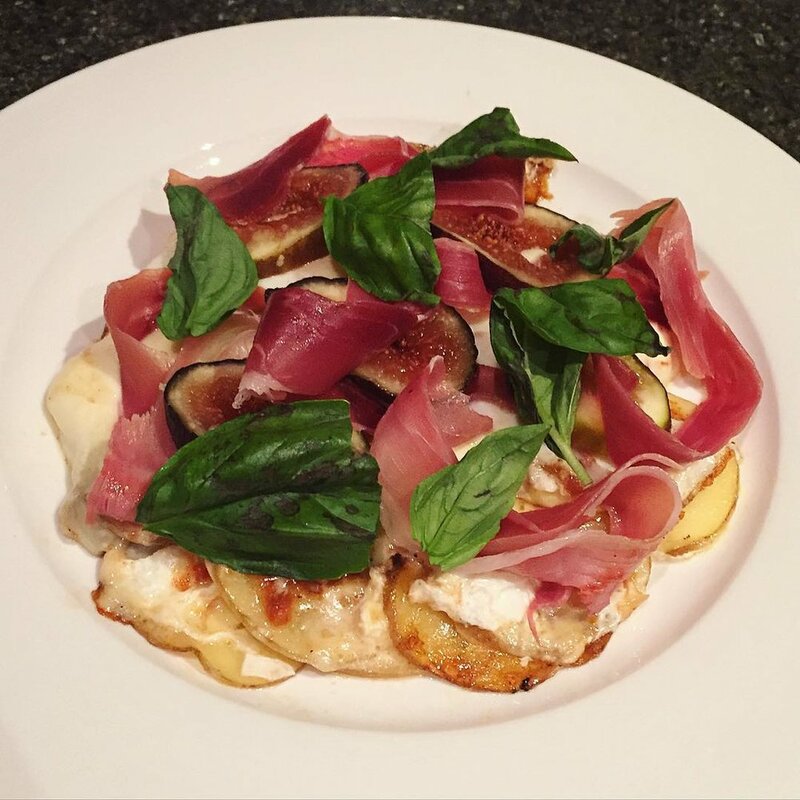 Use a spatula to help slide the pizza onto a plate, and top with the torn prosciutto, fig and basil. Cut into the pizza to reveal the runny yolk! About the author: Georgia Nanscawen is a professional hockey player for Australia, and has been since she made her debut aged 17 in 2009. From then, she has picked up over 160 caps, and has represented her country at the Commonwealth Games, World Cup, and the Olympic Games. When she isn't playing hockey, Georgia blogs and make amazing healthy recipes, all of which are available on her website: https://littlepippincreations.com Follow Georgia on Instagram and Twitter for more healthy recipes, and hockey updates. As an athlete, not only is it important to train hard, but it is equally vital to fuel your body correctly through good nutrition. Whether it’s cooking or eating, I love food…like, I REALLY love food!